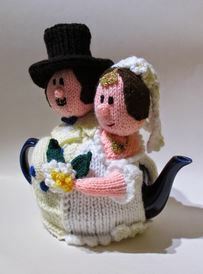 I was asked to design a tea cosy for a wedding present. 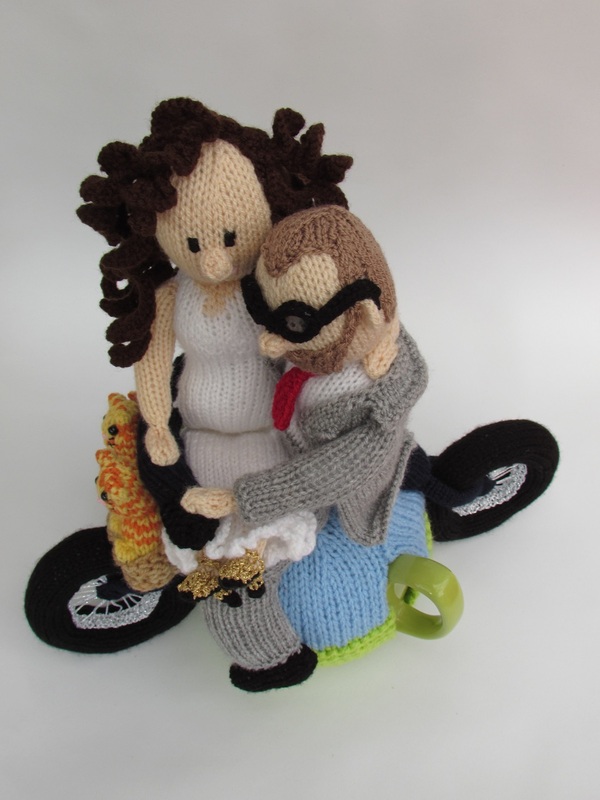 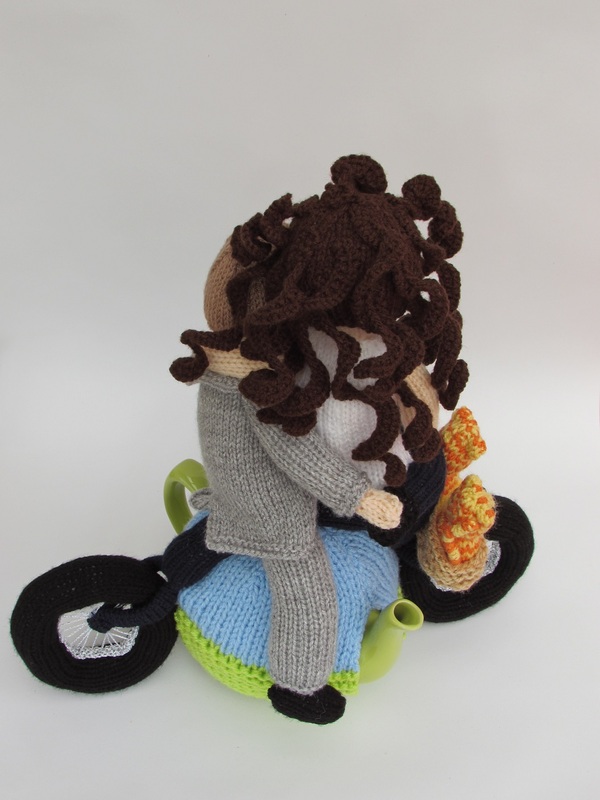 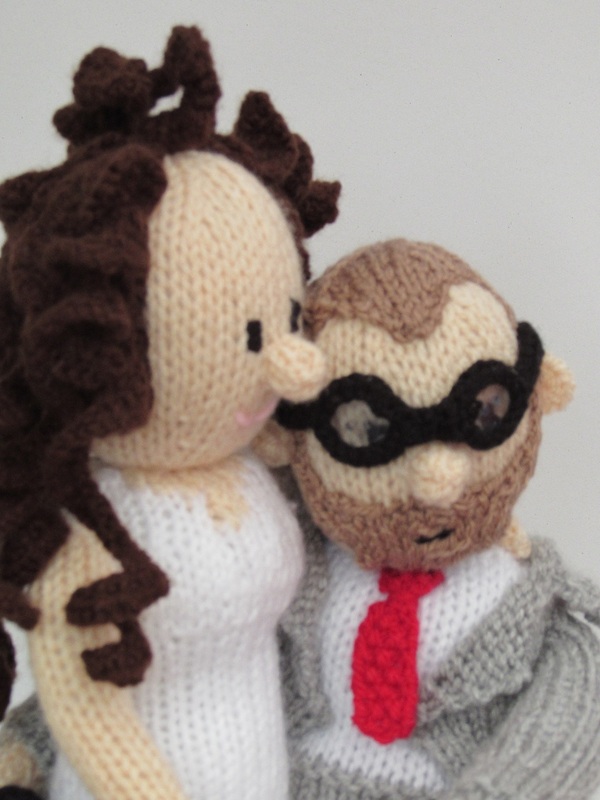 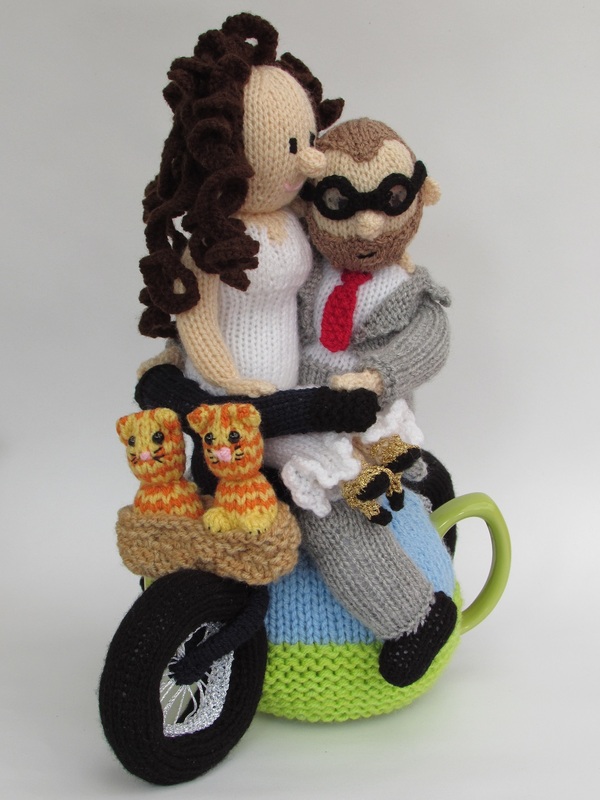 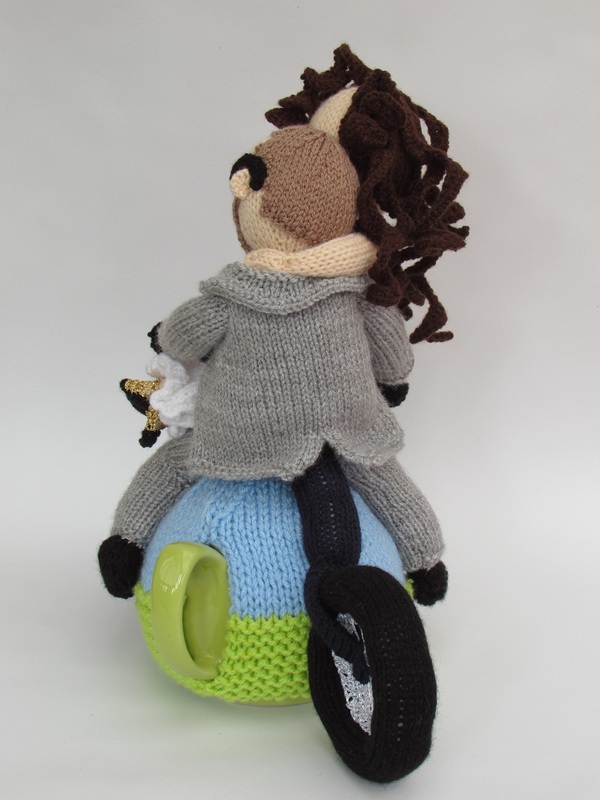 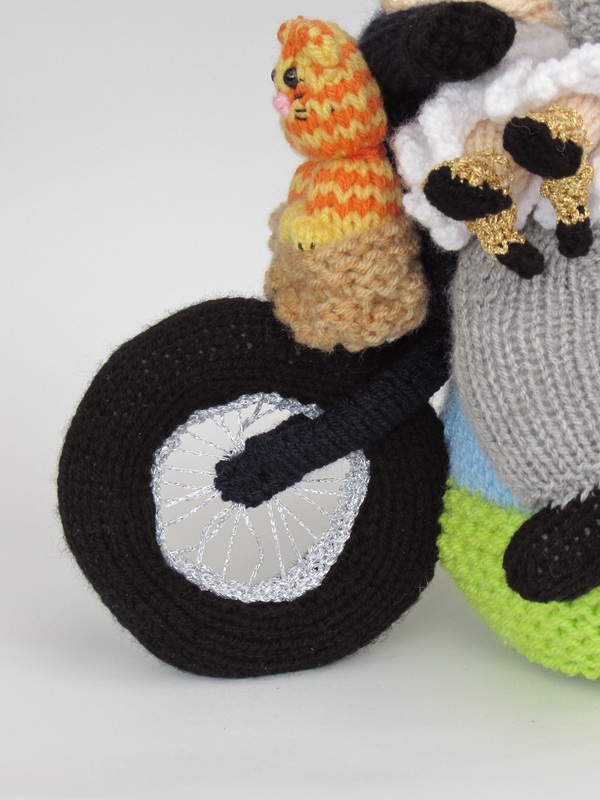 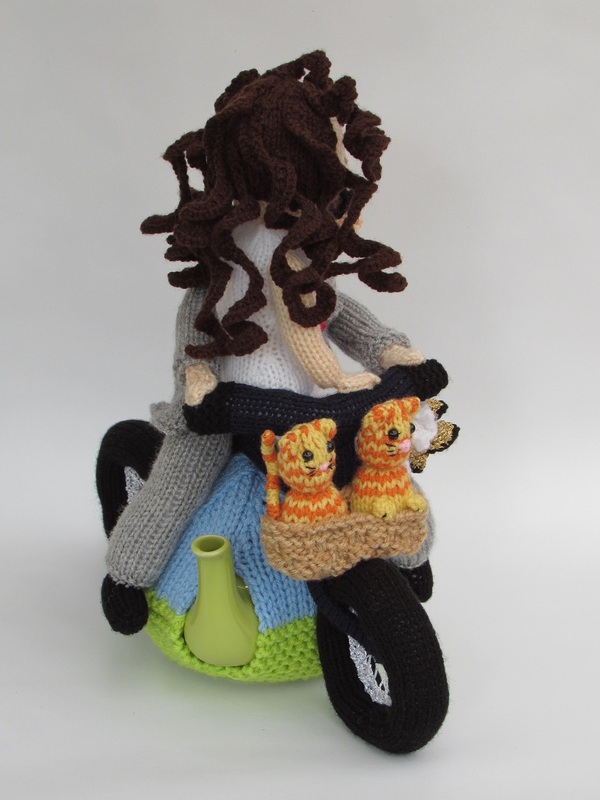 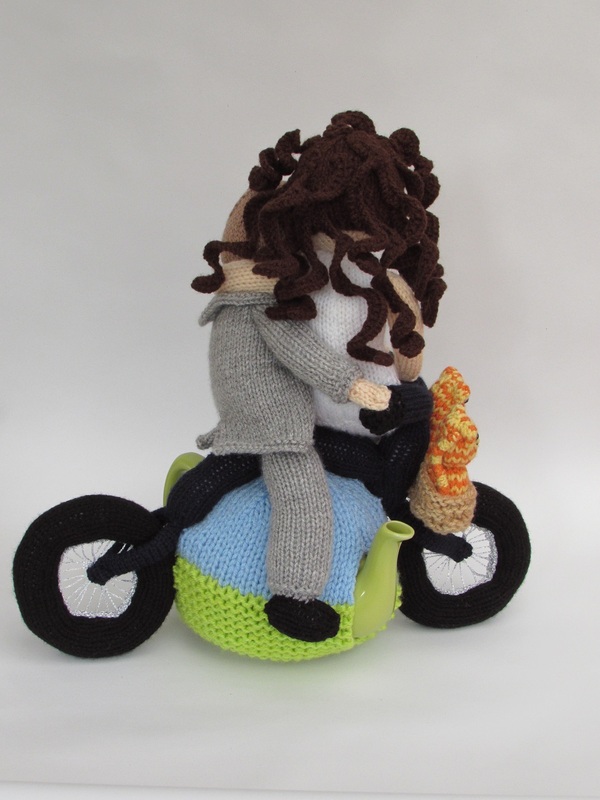 The tea cosy had to include the bride and groom in their bridal wedding outfits, a pushbike and their two ginger cats. 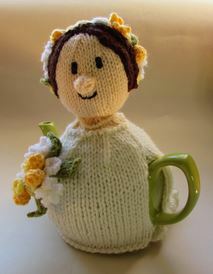 What a tall order! 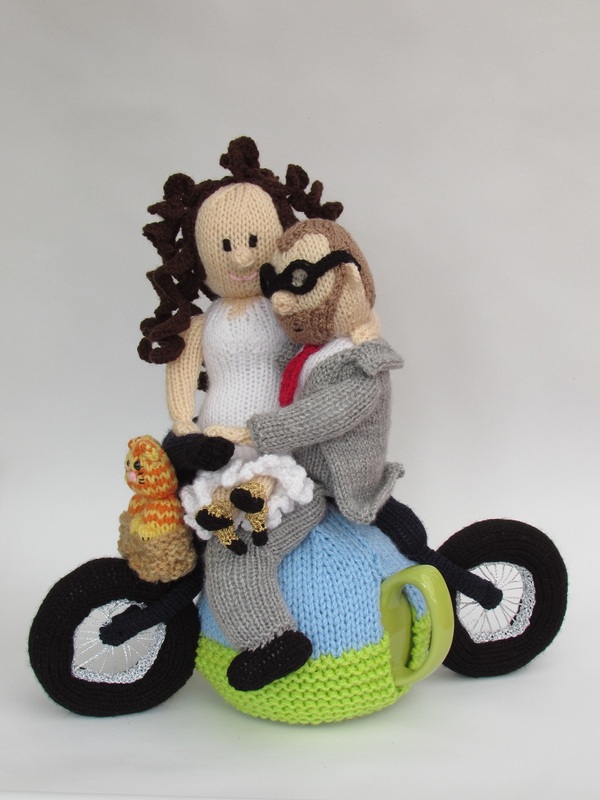 In addition to the list of things to include, the customer also asked that the brides curly hair could also be featured. 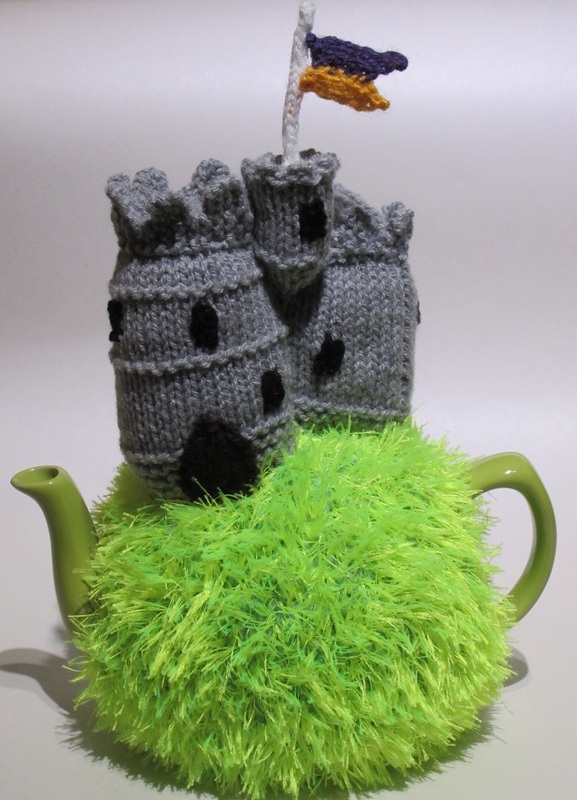 The result was this very unique tea cosy. 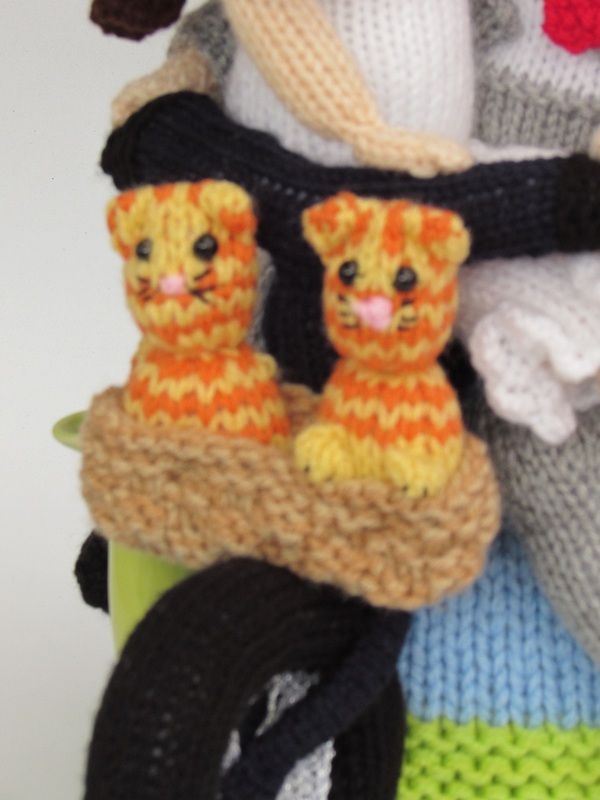 I love the little cats and the gold shoes. 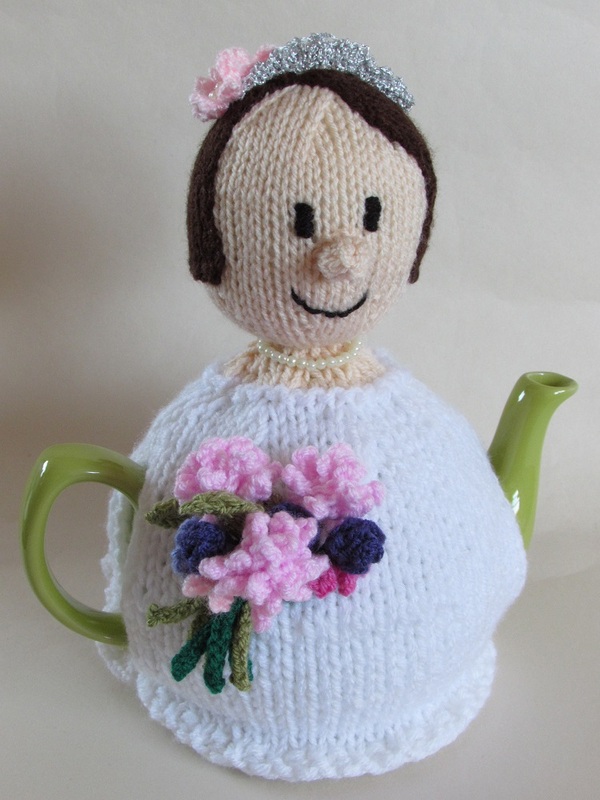 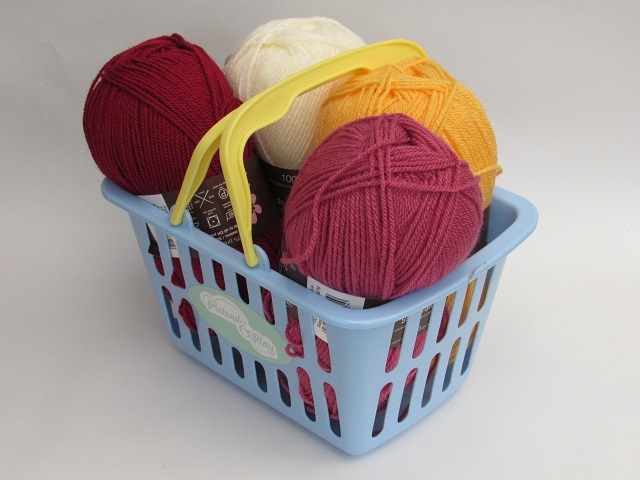 This tea cosy was a one off bespoke creation, and the pattern is not available to buy.